Amber Nicole Wolfe, 20, has been regularly going to shows and getting involved in her local scene in Omaha, NE since 2016, and takes an occasional hour-long trip to Lincoln for shows as well. 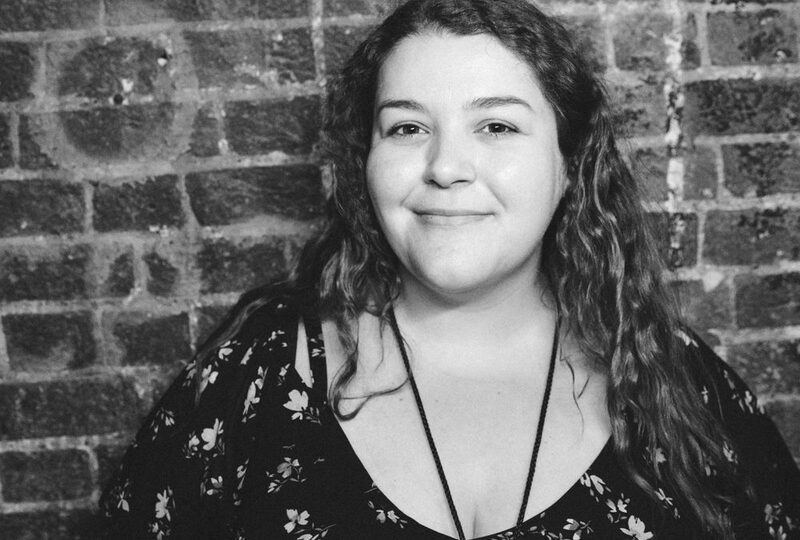 She’s autistic, and in our interview below, she explains her experiences with sensory sensitivity at shows, and shares experiences of both good and bad accessibility experiences at concerts. 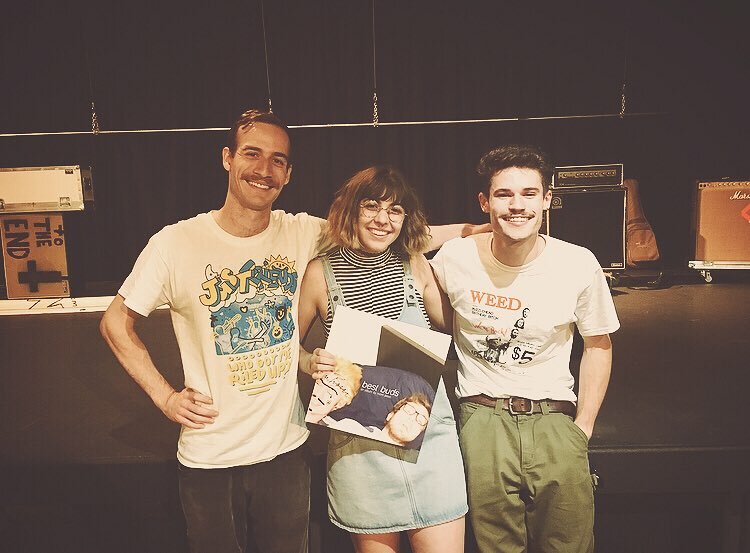 Amber Nicole (center) after Mom Jeans’ September show in Omaha, Nebraska with band members Gabe Paganin (left – bass) and Eric Butler (right – guitar/vocals). Talk a bit about your disability and how it affect your experience going to shows. I am autistic, and the biggest obstacle I face through it (besides willful ignorance from others) is my sensory sensitivity. Sensory input such as sound, light, texture, and even smell can be extremely painful, uncomfortable, and debilitating for me. This makes daily life with me interesting to say the least, and I’ve built a long list of things that I can’t or shouldn’t do for my own safety (such as going to the grocery store – fluorescent lights and the unavoidable noisy commotion will cause a meltdown pretty instantly). Technically speaking, shows should really be #1 on that list – but I could never give them up altogether and shouldn’t have to. At a show, not only do you have the overall ruckus from the crowd, but sound setup for the band is always insanely loud, even in small venues where it isn’t exactly necessary. And then on top of that, there are almost always strobe/flashing lights of some sort that will continue for the entire show. All of these things, especially together, cause me a lot of pain and loss of control and prevent me from enjoying a show to the same extent as the person next to me. I’m constantly on alert, my mind spiraling with thoughts constantly: “Make sure to bring a drink with you on the way so that you can take your anxiety medicine beforehand. This venue doesn’t allow drinks inside, have money to buy a drink in case you need to take your medicine during the set. Everyone is looking at me judgingly as I unscrew my pill bottle. Plan your potential escape route. Know where the nearest bathroom is. I don’t think I can handle this, I don’t think I can handle this, how long is the setlist? I can push through. Don’t think about how loud this is. Keep looking down, don’t look up at the lights, squeeze your eyes closed as hard as you possibly can. It’s okay, listen to the music, this will be over soon, enjoy the music.” Repeat through the whole show. But still, you’ll catch me pushing through it in the front row dancing, because my love for music won’t fade. What have your experiences been like with acquiring accommodations? Unfortunately, not that great. Since my disability isn’t exactly visible, people tend to not take me seriously. I also get “but you don’t look autistic” with almost every single new person I meet. And as a result, people think that I’m either lying or that it’s not that bad, so I’ll be fine. Please, listen to disabled people! We know what we need and what we can handle! Close friends in DIY spaces can sometimes make accommodations for me, but in larger venues that tours hit, it’s usually more of a big production and everything is already planned out. I was informed recently by my friend and employee of one of these venues that bands will have preset light patterns that have to be followed, and can’t be adjusted. I also want to mention something that isn’t talked about as often as it should be: it is hard to request accommodations! Especially since autism inhibits my social skills, and factoring in my negative experiences in the past, most times I will be too afraid to even figure out who to go to about accommodations, let alone talk to that person and request them. People have also suggested I go straight to the band to ask (such as messaging them on twitter), but that’s incredibly intimidating – not to mention how up in the air the likelihood of a response from them could be. Due to lack of resources, awareness, and courage on my part due to stigma, I and many others end up having to accommodate ourselves in most instances – but that can only go so far, and oftentimes, my only option is to not go at all. I think it really just depends, honestly. It seems to me that my generation is overall much more accepting and accommodating than past generations, and I’m constantly seeing that growth in social awareness. I am happy to say that my generation is paving the way to being proud to be ourselves, unapologetically. This has helped me in my own personal growth, such as being comfortable learning about myself and not hiding my disability, and being able to ask for help more often. So with that being said, I’ve been able to get accommodations at smaller DIY shows, and I’ve been less afraid to ask if I know the people running it and/or if they’re my age. 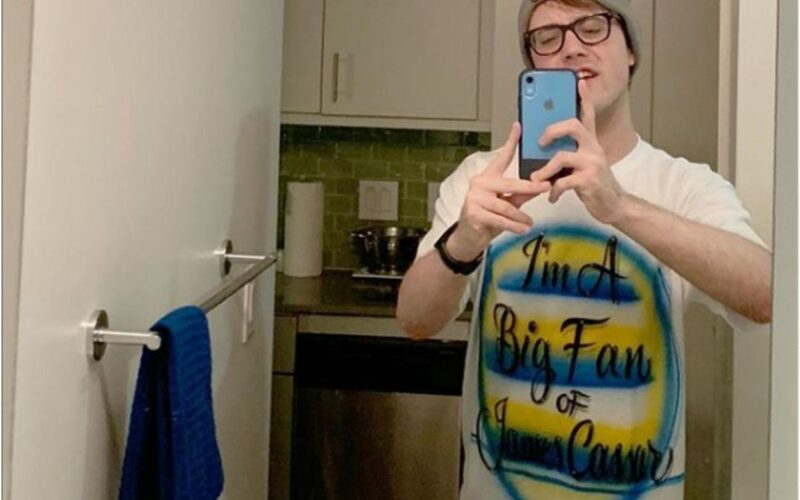 Then there are bands like Mom Jeans, who have become aware of accessibility issues on their own and took it upon themselves to make sure their shows are safe – and that is definitely due to the growth of social awareness. Of course there are always instances where the people running the show have a routine that they’ve planned for and don’t want to or can’t change it, especially if it’s just one random person who’s asking. But I am also lucky to have people around me who are willing and ready to help at a show if I need it (and I definitely have before!). What’s been your best experience with concert accessibility? When Mom Jeans and Just Friends played The Waiting Room Lounge in Omaha on September 25, 2018 that was easily the best concert experience I have ever had. To be able to handle a show, I have to take the day off of work, and even during my morning off I was already experiencing sensory overload and was stressing about how the show would go. It had been a while since I had been to a larger show, and from personal experience, Waiting Room always has fairly intense lights. This is when I learned that there’s no way for light accommodations to be made, because the bands choose the patterns beforehand. I prepared for the worst and was ready to push through it, which is a very sad mindset to go into seeing one of your favorite bands with. But during the entire show, there was not one single strobe light. Of course it was still loud, but I had my headphones and I was just elated that I could look at the stage and not have to cover my eyes for once! I felt so free and in the moment, my heart wanted to explode with happiness. I danced and smiled and sang all night. That alone made it amazing, but talking to the bands afterwards somehow made me soar higher. I asked why they chose not to include strobe lights, and they told me they became aware that lights like that can be inaccessible and unsafe. They said that the only reason they would want a person to not come to their show, is if the person just didn’t like the band. That that should be the only thing keeping anyone away from a show. And that… just hit me so hard, I started tearing up. 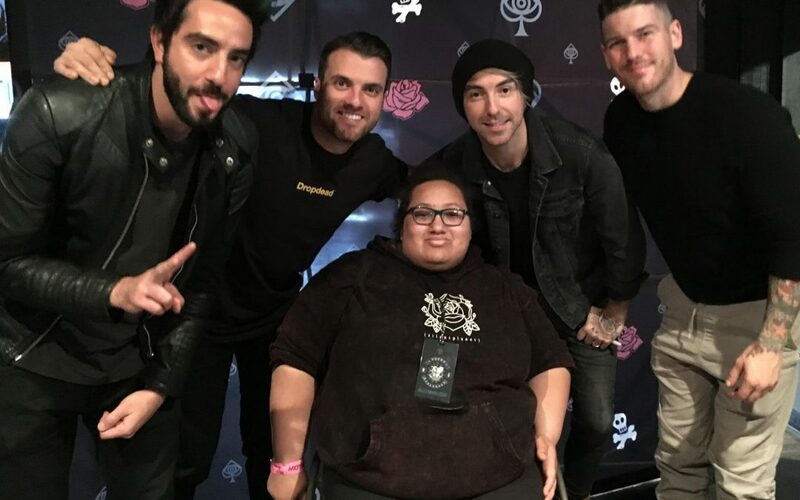 I opened up to them about my disability, my experience, and how their simple decision that may not have even made a difference to anyone else in the crowd meant more than the world to me, and how I would never forget it. They told me they were happy to finally meet someone that it makes a difference for. I cried out of joy on the drive home. What’s been your worst experience with concert accessibility? My worst experience with concert accessibility was also the most disappointing, because it involved people very close to me. I used to work at a store that was not a venue, but would host shows every once in a while for fun. I had never actually been to one of these events prior to working there at this one, so I was very excited to be there and to advertise it that day. It’s a very small store with a very small and personal staff, so everyone knows me, my triggers, and what my meltdowns look like extremely well. Basically, I had no reason to assume that anything the store put on would be unsafe for me. But when I got there everything was already set up, including an LED screen that nobody told me would be there – and to be honest, I didn’t even know what it was. It kind of just looks like a bunch of lights in one place, so I assumed that’s what the deal was and stayed close to the back because I knew it would be bright when it was on. As the show was about to start, without any warning whatsoever, it got turned on and basically became a flashing, moving, strobe light wall of death, and destroyed me instantly. Since it was a small show and I worked there, I felt like I represented the event, and therefore didn’t feel like I could leave. I tried to suppress my meltdown and faced away until the set was over and it was switched off. At that point I let my coworkers know that I was very much not okay, I was about to have a meltdown, and that there was no way I could be there any longer if the LED screen was in use. My words weren’t coming out smoothly, my voice was cracking due to me about to cry, I was in so much pain, and it was very obvious. Nobody really gave any affirmation that they understood and would try to help, which was confusing, but I figured me coming to them about it would be enough and that they just didn’t know what to say. Most people don’t, and that’s okay. I made my way back into the small crowd assuming that the rest of the show would be safe and that I could push through, but cue the next set and the screen being turned on without warning – somehow with lights even worse than the last set. It was such a surprise (and I was already so vulnerable) that I just had to run out of the store crying, in front of everybody. Not only was it very embarrassing, but it was also a punch in the gut that my own workplace wasn’t accessible to me and that the people close to me couldn’t make a small accommodation when they knew me so well and had seen the state that I was in. I had hyped up the show so much and was very proud of my involvement in it, so it just hurt extra bad that it ended up being unsafe for me and that nobody did anything about it. How can people best be an ally to you at shows? And what can venues/artists do to best accommodate you? For artists and venues, the best tip is to be receptive and listen. Keep your DM’s open so that people can reach out to you easily with concerns, and be willing to make changes, even if it’s not easy. If artists keep requesting shows be accessible, I believe this will lead to accessibility being more mainstream and expected. Hold venues accountable and don’t play at places that aren’t open to working with you on this, because right now, they’re doing what they’re doing because this is the way they’ve always done it and it makes them money. I think for anybody, the best way to be an ally is to check up on the person and be willing to help get them what they need. Know how their disability affects them and what things help them, and always be ready to learn new things. I was at a DIY show once that was otherwise accessible, but during the last set, an amp started making a high-pitched feedback noise and nobody could fix it. They had to just continue, but it became too much for me very fast, so I had to get out of there. Luckily, a very good friend of mine was there, who is always a great ally without me even asking. She didn’t immediately follow me because she knew I needed space, and when she later found me nonverbal from the overstimulation, she didn’t try to make me talk but instead asked me yes or no questions about what I needed from her and did her best to deflect others who didn’t understand what was going on and tried talking to me anyway. When everybody started to head out and I wasn’t safe to drive, she offered to drive me somewhere to get a snack and told me I could stay as long as I needed or spend the night with her if I had to. This situation is my picture perfect example of allyship: she knew the circumstances of my disability and gave me help in the ways that worked best for me at that time. I couldn’t have asked for anything more from her. I have way too many, so I’ll try to keep it short! If I had to pick a top 3, it would be AJJ, Radiator Hospital, and (SANDY) Alex G.
What’s your most listened to 2018 release so far?